Sony Ericsson’s Xperia Play (or the PlayStation Phone) has reared its Android gaming head again, this time posing for a complete device tear-down by way of Chinese site TGBUS. 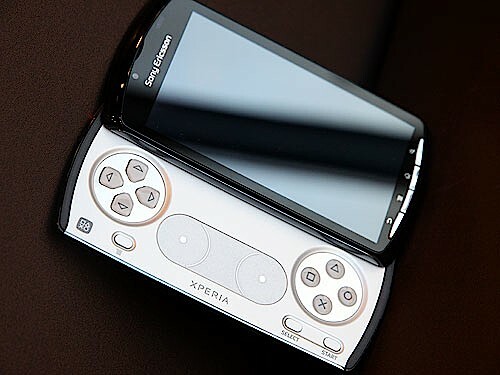 A day or so ago we suggested Sony Ericsson could be doing itself a disservice by refusing to officially acknowledge the existence of the PlayStation Phone, especially with the constant stream of leaked videos and images that have been surfacing over the past few weeks. We have watched overview videos and seen photos of the device that have escaped the Blurrycam treatment. We have even seen the Xperia Play demonstrating its gaming skills, running emulated PlayStation One games by way of a third-party application. Today’s dissection shows the device in a new light, highlighting the complexities of what it takes to put a gaming handset like the PlayStation Phone together. You can quite clearly see the touchscreen controller, the handsets’ RAM components as well as the joypad components that provide the gaming elements of the device. TGBUS has a gallery full of photos demonstrating the tear-down process which can be viewed here. So there you have it, you’ve quite possibly seen everything that the Xperia Play / Playstation Phone has to offer, maybe except the PlayStation Pocket app which will provide the games for the hotly anticipated device. Whether we will see the app demoed before the device is officially unveiled remains to be seen, soon all of the PlayStation Phone’s card will be laid on the table and there won’t be much left to unveil. That doesn’t mean we aren’t still excited to see this handset officially launch.